A growing body of research indicates that mobilization of patients in the ICU contributes to decreased lengths of stay, decreased costs, and improved patient satisfaction.1,2 But too often, caregivers are reluctant to introduce early ambulation—caught between the challenges of safely maneuvering a patient still physically tethered to the bedside monitor and the workflow disruption required to transfer the patient to a long-range ambulatory monitor. With a wearable Bluetooth transmitter, patient monitoring during early ambulation is easy, efficient, and cost-effective. With ECG cables out of the way, patients can ambulate more comfortably and easily—even in high-acuity environments. Trip and fall risks are reduced as the patient and caregivers are no longer challenged with cable clutter. Because patient data is continuously transmitted to the Central Station from the bedside monitor, workflow is a breeze, all the while facilitating the flexibility required for recovering patients. 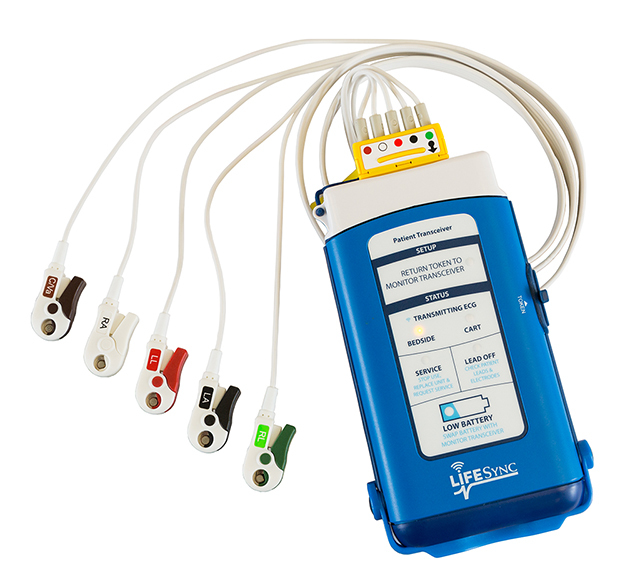 ECG, respiration, NIBP, SPO2 and other parameters can be captured and transmitted seamlessly to the bedside monitor, Central Station, and EMR. Improve patient mobility immediately and cost-effectively. No additional antenna structure is required to utilize wearable transmitters that communicate with the bedside monitor via Bluetooth.